I’ve been talking with dinosaurs, I mean, avians for years and years. Way before full-time housesitting. Given my druthers, I’d much rather chat with humans, but birds make pretty good company. To see this in action, please check out The Magpie Whisperer on the interwebz, Facebook, Instagram, and Youtube. She’s quite simply brilliant, and her posts, videos, pictures, and musings bring incredible joy to people around the world. Fun fact 1: I quite like Thai massages. They’re the only ones that can truly unkink this busted up old body. 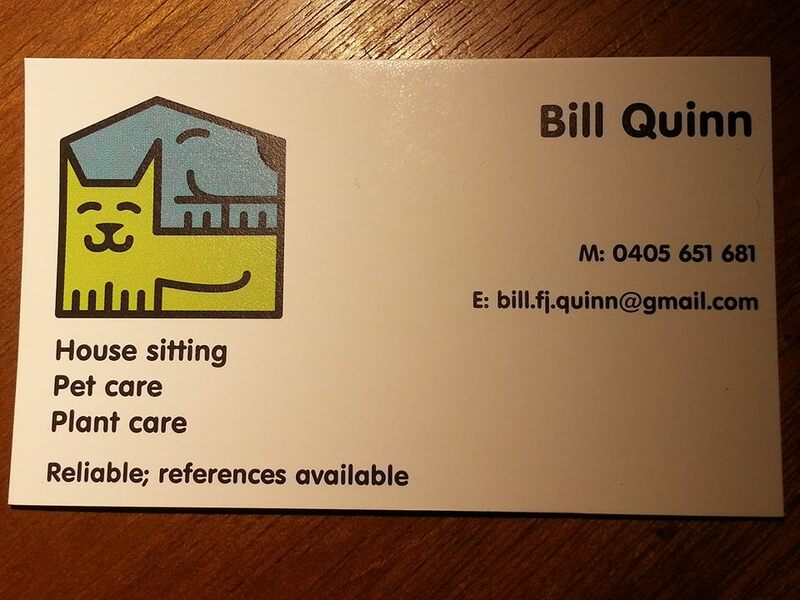 Fun fact 2: At my last housesit on the leafy Upper North Shore, the cleaner reckoned I was too tense and should go down Mona Vale Rd and get a ‘rub and tug’. I seriously thought he was kidding. Not on the intent, on the fact that one could procure such services in the gentile, landed-gentrified, exclusive surrounds of that area.